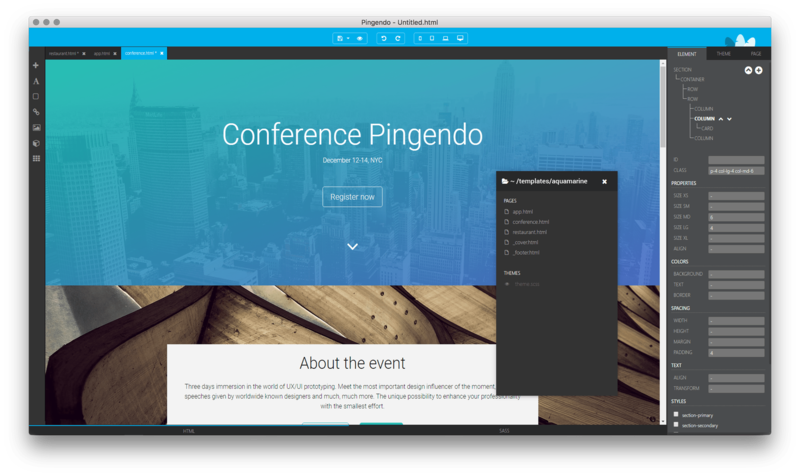 Pingendo-Bootstrap 4 builder for developers, designers & clients | TryThenBuy-Free & Open Source rocks, help them by buying or donating. Drag and drop ready-to-use blocks and elements. Create your web page in seconds adding what you need. rearranging grids visually with ease. Get a fluid web page working on all devices with the Bootstrap 4 grid system. Responsive design made intuitive and effective. Build with blocks, yet modify easily. Customization is one click away with the right inspectors, and graphic possibilities are infinite. Design unique interfaces by customizing the Bootstrap theme. Modify colors, fonts and grid setting without opening any CSS file. Pingendo gives you easy and safe access to SASS source. Adding and customizing custom rules is a breeze. With no limits. Access the code with just one click from the visual builder. Pingendo generates vanilla Bootstrap 4 code that you can edit live. Pingendo generates clean, battle-tested, modular Bootstrap 4 code – with no messy dependencies. 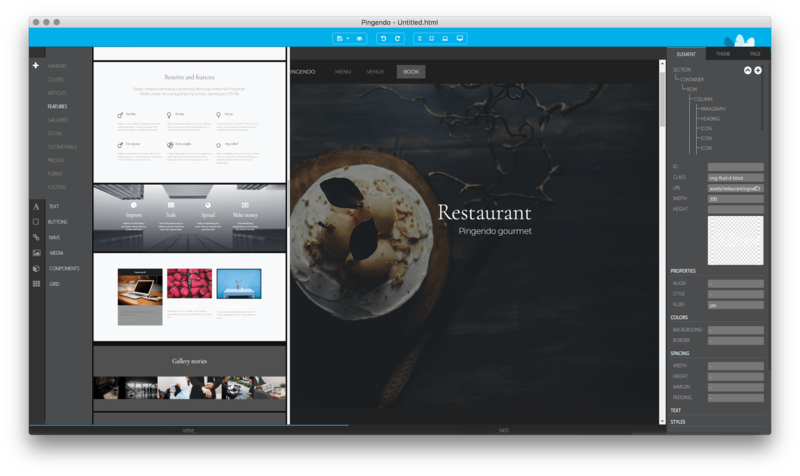 Start working on templates made with and for Pingendo. Designed to be easily customized in every detail. 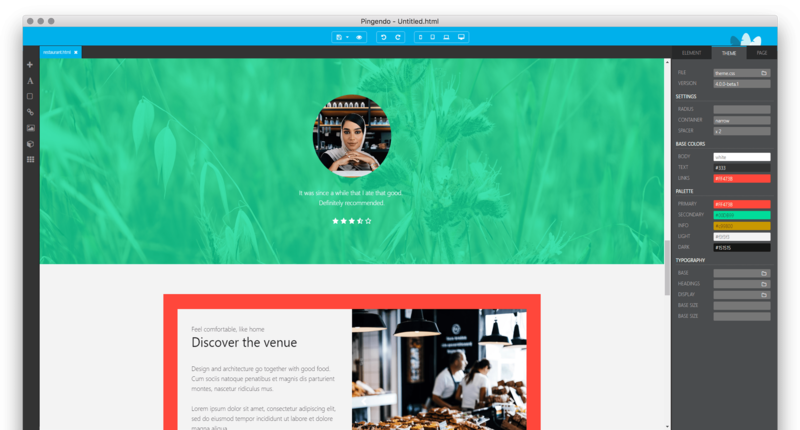 Every theme comes with a tailored styleguide. Includes the main Bootstrap components for adding them to your page. Get ideas from the examples provided and develop endless combinations. Paste sections within different landing pages to get exactly what you need.